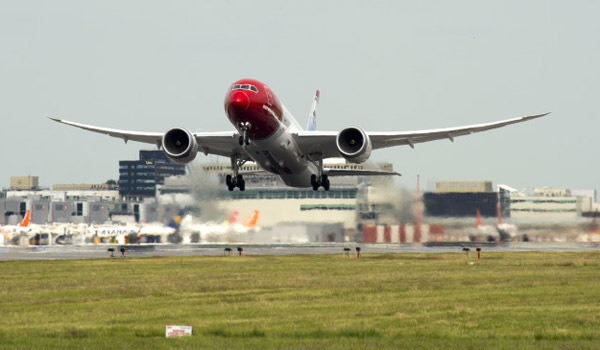 The U.S. Department of Transportation (DOT) announced that it will require additional time to reach a decision on Norwegian Air International’s (NAI) application for a foreign carrier permit to serve the U.S. from Europe. Until then, Norwegian Air Shuttle will continue to operate flights to the U.S. under its existing authority from DOT. Norwegian urges DOT to expedite its review and issue NAI’s foreign carrier permit fly to the U.S. – once and for all. Today’s announcement to dismiss the exemption application “on procedural grounds,” simply gives DOT additional time to consider NAI’s permit application. It is not a denial. Norwegian Air Shuttle already holds a permit to fly between Europe and the U.S., and Norwegian Air Shuttle’s existing operations to the U.S. are not affected by today’s announcement. The Air Line Pilots Association (ALPA) and other organizations have argued against NAI’s right to operate as an Irish airline, however, maintaining that the Norwegian airline had no operating flights or history of operations in Ireland and intended to compete unfairly against U.S. airlines in the global marketplace.